Home » Giveaway – Win a Blu-Ray Copy of The Visit! Giveaway – Win a Blu-Ray Copy of The Visit! It’s the holiday season, and Wicked Horror has partnered with Universal Pictures to give our readers a chance to get a little something for themselves this year by hosting some great Blu-Ray giveaway opportunities! 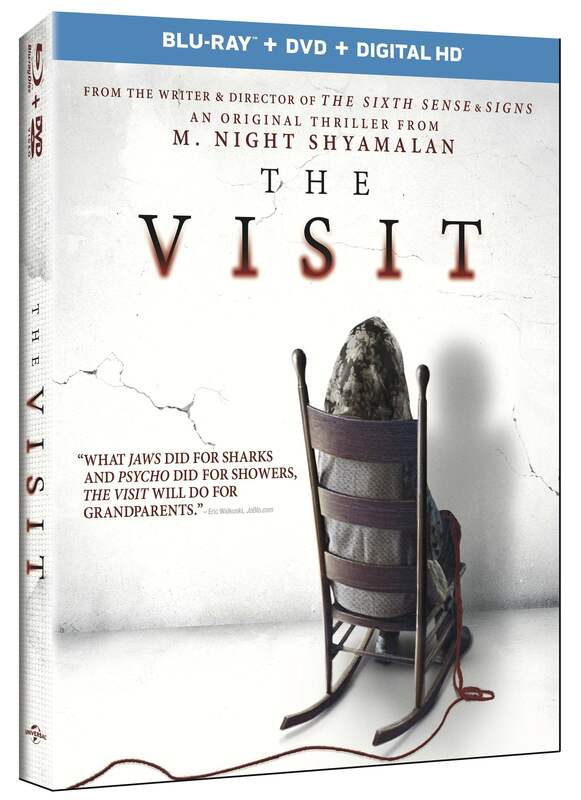 From Academy Award winning writer and director M. Night Shymalan comes his latest chilling feature, The Visit. It became available on Digital HD on December 15, 2015, and will be released on Blu-Ray, DVD, and On Demand on January 5, 2016 from Universal Pictures Home Entertainment. The special features on the Blu-Ray and DVD combo pack include: an alternate ending; deleted scenes; “The Making of The Visit” featurette; and “Becca’s Photos” featurette. How can you win a Blu-Ray copy of The Visit? It’s easy! Just send an email to Wicked Horror’s Michele Eggen at seeno_evil63@yahoo.com with the subject “The Visit Giveaway” and include your FULL NAME and VALID MAILING ADDRESS in the body of the email. You have until JANUARY 3, 2016 to submit your entry. One winner will be chosen at random, and the Blu-Ray will be sent out after the release date of January 5. Please note that this contest is only open to readers in the U.S. Win VIP Tickets to a Screening for M. Night Shyamalan’s The Visit!